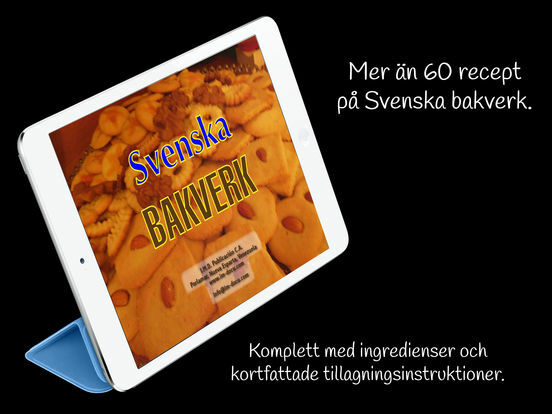 This app features more than 60 recipes of Swedish pastry (bakery?) 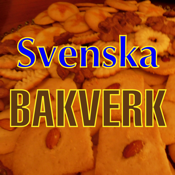 items [Svenska bakverk], complete with ingredients list and comprehensive description for preparation. 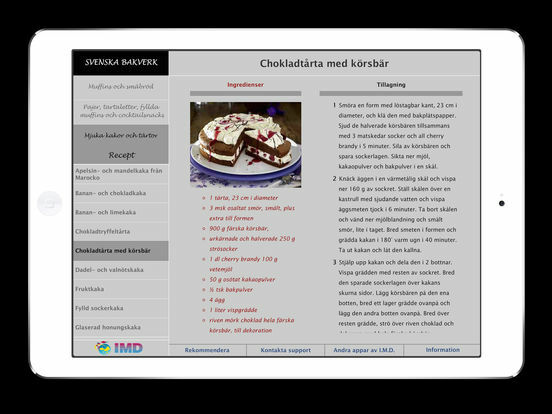 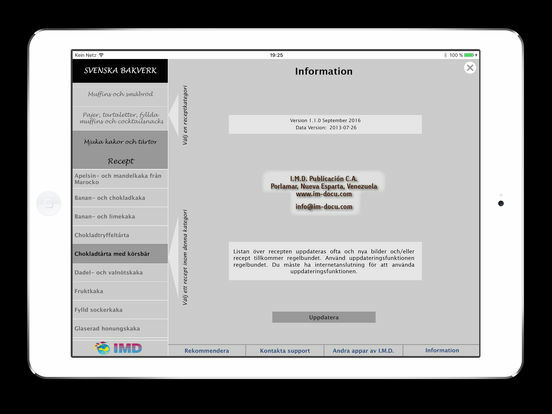 The intuitive, all-Swedish user interface lets you navigate through the recipes by category and shows all information for a particular recipe nicely arranged on a single screen.